Leona Korock first served the Modesto Gospel Mission as a volunteer in the 1990’s. Leona then was hired by the Mission and served as the personal secretary to Vern Dethridge for over 25 years. When she retired as secretary to Vern, Leona came on the Board of Directors. As secretary, Leona would take care of basic office work and handle all mail correspondence that the homeless would receive while staying with the Mission. Years ago, Leona started to make Afghan blankets for all of the graduates of the New Life Program, and continues to make them for NLP graduates to this day in addition to making bookmarks for their Bibles. Leona was born in Modesto and was married for over 72 years to husband Vern Korock, whom she raised 4 children with. Though she is now a widow, Leona still returns to the Mission regularly to volunteer at Christmas and Thanksgiving. Leona is a life-long member of North Modesto Church of God where she volunteers on the worship team and with the church’s youth group. 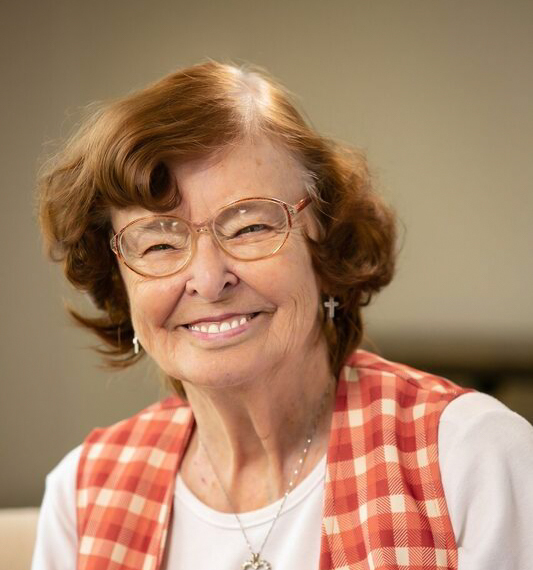 Leona believes that the Mission is God given, and she continues to share the wonderful opportunities that the Mission offers to the broken who need God’s direction.